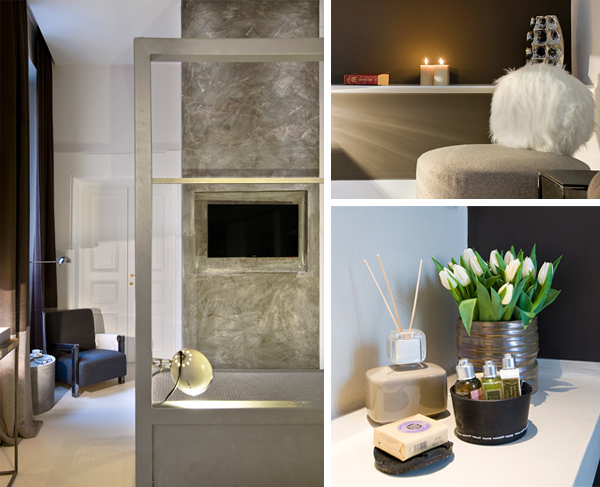 This piccolo avant-garde hotel is a wonderful base for soaking up Rome’s history, art and style, but there’s nothing ornately baroque or grandly ancient here. 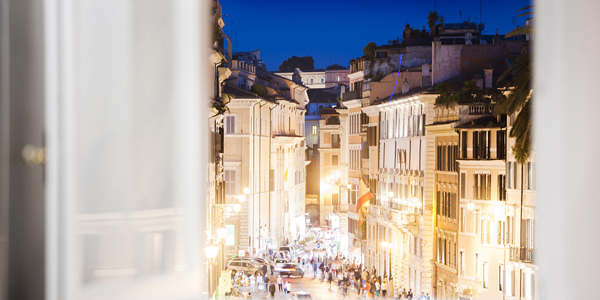 Instead, PiazzadiSpagna9’s modern décor and muted colours form the perfect contrast to Italy’s unapologetically flamboyant capital city. An ever-changing collection of installations, sculptures and artworks adorns the high-ceilinged, 15th-century rooms, while tall windows frame views of Rome’s most famous square. 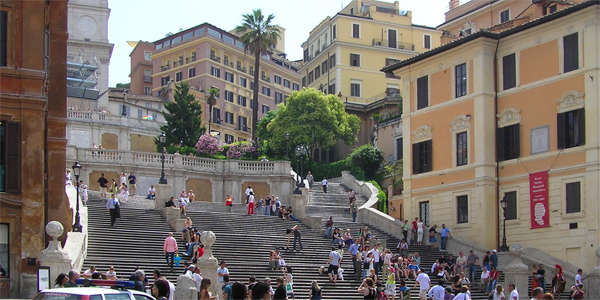 All this and just a short shuffle from the Spanish Steps – la dolce vita indeed. 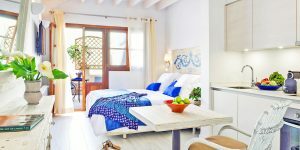 Rooms: The 6 rooms are romantic hideaways high above the noise of the square. They all share a soft palette of white, browns and greys, and show off unique artwork carefully selected by the interior-designer owner. Queensize beds (no twins) are covered in Society blankets, while curtains and cushions are made from linens by high-end Italian fashion houses. The overall effect is cool minimalism warmed by quirky details. Indulgent bathrooms feature huge glass-walled rainfall showers and are stocked with fluffy robes, slippers and lovely L’Occitane toiletries. 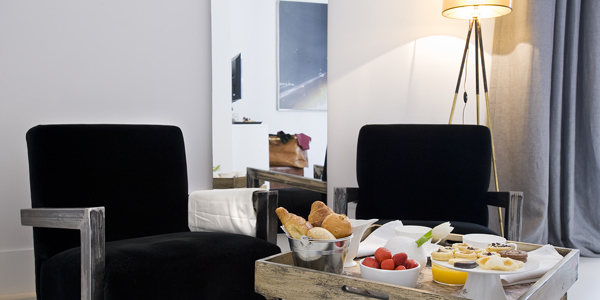 Food: Breakfast is enjoyed in the light-filled lounge overlooking the Piazza di Spagna. The Continental buffet is a cut above most Italian hotel breakfasts: yummy flaky pastries, cakes and biscotti in pretty glass jars, along with a selection of breads, fresh fruit, cereal, yoghurts, salami, cheeses and juices. In the evenings, aperitivi are served in the lounge along with delicious stuzzichini (Italian finger food). It’s a heavenly way to spend an hour as you relax above the bustling city below, and staff can advise on restaurants for dinner. Top tip: Get up early and visit one of Rome’s many food markets – one of the best ways to get under the skin of the city and try its freshest seasonal produce.